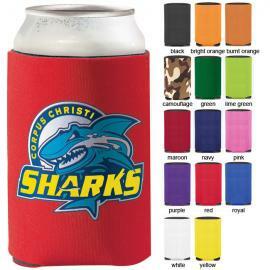 You are currently browsing the archives for the Summer Promotional Products category. Thank you Huffington Post for giving Promotional Products the much needed attention they deserve! In a world where advertising campaigns are constantly evolving a traditional form of advertising remains in tact: Promotional Products. Some people may be under the impression that this type of advertising is out of date, the opposite is true. Promotional Products have endured the evolution of marketing and still come out on top. 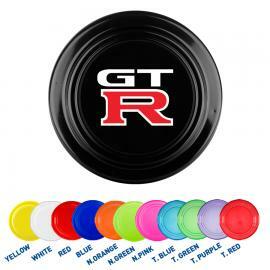 -Promotional Pens, Promotional Bags, Promotional Corporate Gifts, Promotional T-Shirts. When selecting your Promotional Products you really want to keep your target audience in mind. While Promotional Pens are somewhat universal, Promotional Corporate Gifts might not be the ideal selection for the local gym owner. Instead think more along the lines of Promotional T-shirts for your Promotional Product selection. 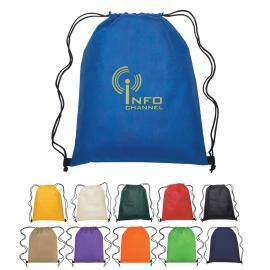 -Trade shows are a great way to distribute your Promotional Products. 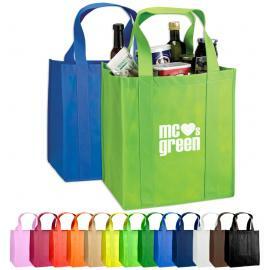 Large groups of people with similar interests is a great place to maximize your Promotional Products campaign. -Try not to overbrand your product. Simplicity is key, overbranding may take away from your credibility and business reputation. For the latest in Promotional Products, browse our web site selection and choose from over 50,000 customizable promotional items. Perfect for any age group, these low-cost flyers are ideal for new product announcements, picnics or any outdoor activity. As low as $.48 plus an additional 10% off TODAY ONLY! While 69% of U.S. small-business owners believe mobile marketing is critical to their company’s growth, the majority of them admit they’re failing to effectively leverage the technology, a survey released by Web.com Group shows. According to survey data, about 60% of small businesses have a website, but only 26% have a mobile-friendly (adjusted for smartphone screens) site, and only 14% have a stand-alone mobile site. Last year, firm comScore reported that out of 234 million U.S. mobile consumers, 82.2 million use a smartphone, providing an obvious incentive for businesses to appeal to on-the-go consumers. With that in mind, 64% of small-business owners surveyed by Web.com said they planned to increase spending on mobile investments in 2012. How exactly small businesses will upgrade is not clear, though, as 61% currently don’t have a mobile search strategy. The biggest hurdle to more mobile investments is time, as data revealed 64% of small-business owners don’t have a dedicated marketing team. We’ve written about the best promotional product campaigns to use during Summer. Please search “summer” in the search box to the right to view all the posts we’ve created over the years related to summer time promotional products. 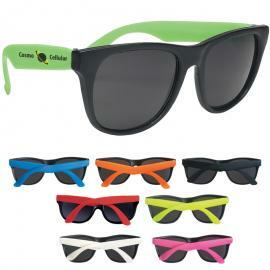 Need promotional product campaign ideas for Summer? It’s never too early to get started on your summertime promotional products campaign. Remember, the key to an affective promotional products campaign is to cater to seasonal usability. A product that’s undesirable or unusable in the current season won’t create the brand awareness you’re looking for. Contact us today if you need added help in setting up the perfect summer promotional products campaign. To reiterate one of the many purposes of this blog, we are attempting to point out how ubiquitous promotional products are in our everyday lives. Sporting events, especially baseball games, have been a staple for promotional item giveaways for as long as I can remember. Everything from blankets to hand fans are given away. These giveaways often attract more fans thus creating a higher attendance and more revenue for the home team. As a former season ticket holder for the Angels during my college days, I often remembered the attendance being far greater on days where giveaways were taking place versus non giveaway days. Further, promotional giveaways often took place on week days where attendance may not be as high as the weekends. Let’s examine some of the promotional items I received and how they relate to past points brought up in this blog. Promotional Blanket - One season, I received a promotional blanket in early September which became extremely useful. At that point in the season, the weather began to get colder as fall approached. The blanket made a great giveaway because of its overall usefulness as well as seasonal usefulness. The blanket made night games more tolerable, and also made the cut for various family camping trips. I believe a local radio station sponsored this giveaway. Promotional Hand Fan - One season, during the dog days of summer, a giveaway took place featuring hand fans. This was perfect for day games as the sunny Southern California weather can be a little too much at times. My girlfriend at the time was ecstatic over this give away as she used it the whole game without the usual complaints of how hot it was. This give away also aligns well with the seasonal usability trait previously discussed. Promotional Cap - This is the perfect baseball game give away for obvious reasons. Not only do people use this item, it also shields you from the sun during the warm summer months both at the ballpark and away from it. The brand awareness that comes from someone wearing a baseball cap is immense. The sky is the limit when it comes to sporting events and promotional products. Bobble heads, t-shirts, noise makers, hand fans, blankets, tote bags and calendars all make fantastic giveaways that create further brand recognition. To setup a promotional give away using some of the aforementioned products, contact Superior Promos today and get the expert help you need for a successful campaign.